Vector Operators are the advanced force of the commercial operations of the Exrah Concordat’s War Contracts Department in the new territories. In their paramilitary role Vector-Operators act as saboteurs, agents provocateurs and terrorists, sowing chaos and confusion and creating new markets for the products of the Concordat. Bearing in mind that they work on commission of future sales, their income can be quite considerable. In their military role, the Vector are perfectly trained elite commandos, with experience in the use of assault weapons and Close Quarters Battle (CQB). 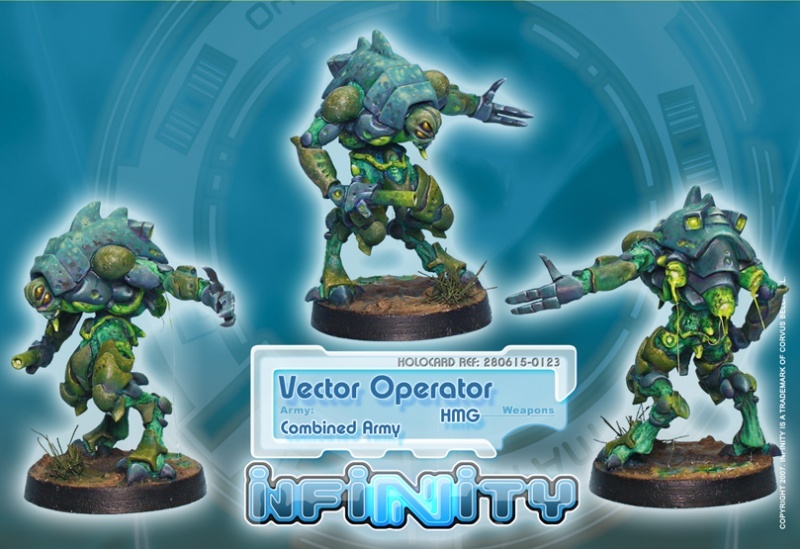 Their exo-chitin is equipped with mimetic systems which allow them to camouflage themselves completely on the battlefield. Their helmets provide them with artificial enhanced optical/ thermal/ radiant vision, allowing them to track the presence of other camouflaged agents. 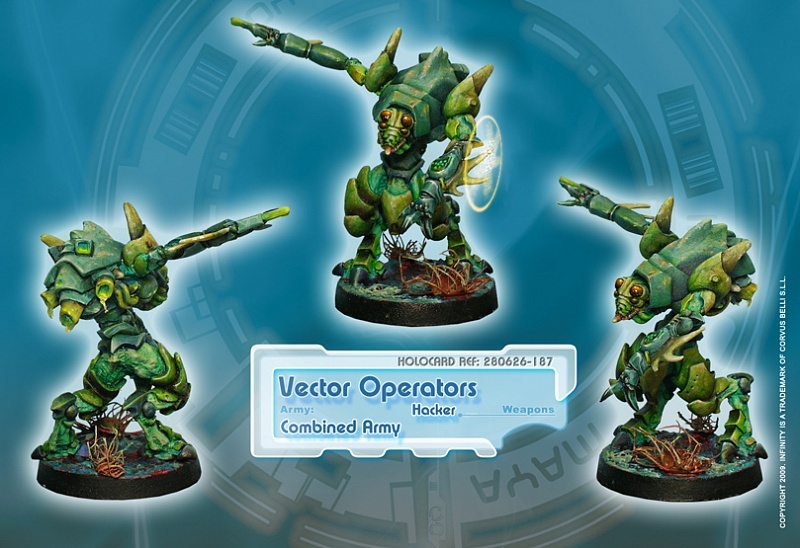 In the Combined Army, the Vector are the predators who hunt other predators.